Looking for something out of the ordinary to do while on holiday in Vietnam? 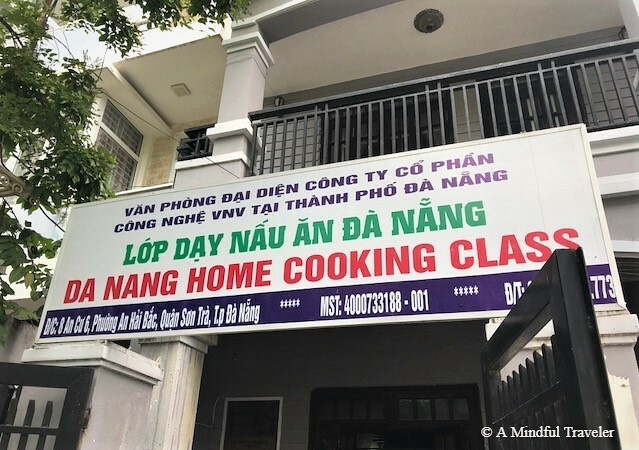 Why not take the opportunity to discover Vietnamese cuisine and local culture through a cooking class? 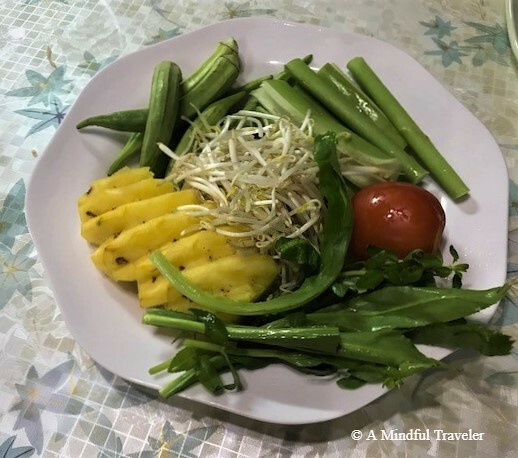 One of the highlights from our trip to Da Nang was the Da Nang Home Cooking Class. 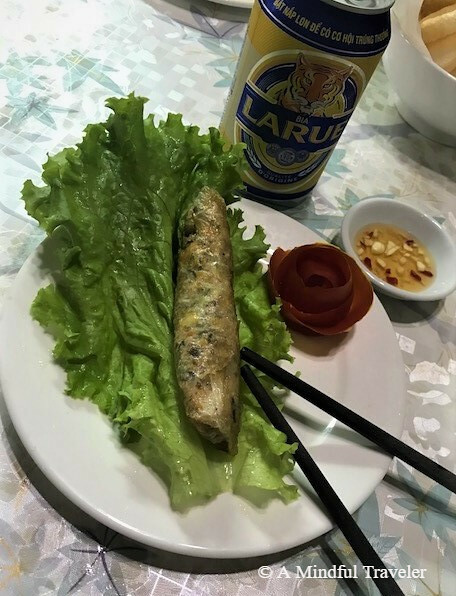 The class is run by friendly locals with an intense knowledge and passion for Vietnamese food, and lifestyle. This intimate experience is completely hands-on with personal demonstrations, while guided through each recipe step-by-step. We booked the morning session of the cooking class and the tour began with our lovely hosts picking us up from our hotel in Da Nang. There were five of us on this adventure and we all were eager to introduce ourselves and make friends for the five-hour duration of the tour. Our first stop was a visit to the local vegetable gardens. 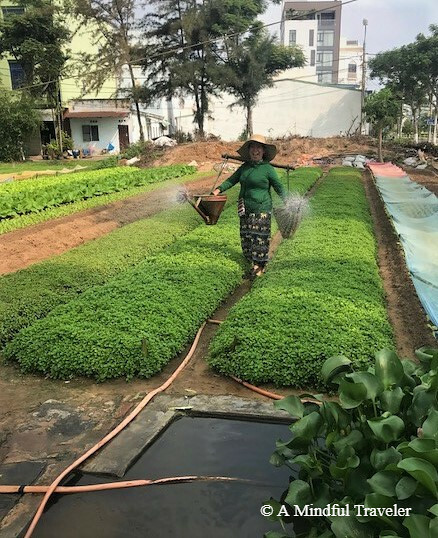 These gardens are managed by families within the local communities, which supply the markets with their fresh produce. It was a great experience observing how these organic vegetable gardens are maintained each day 365 days a year. The farmers cultivate different aromatic plants and spices, and all are used in the daily preparation of the region’s dishes. The abundance of crops and the fertility of the land was impressive as we helped replant and water some of the crops just like a local. On our next stop, we encountered a typical Da Nang café and savored a traditional Vietnamese coffee. 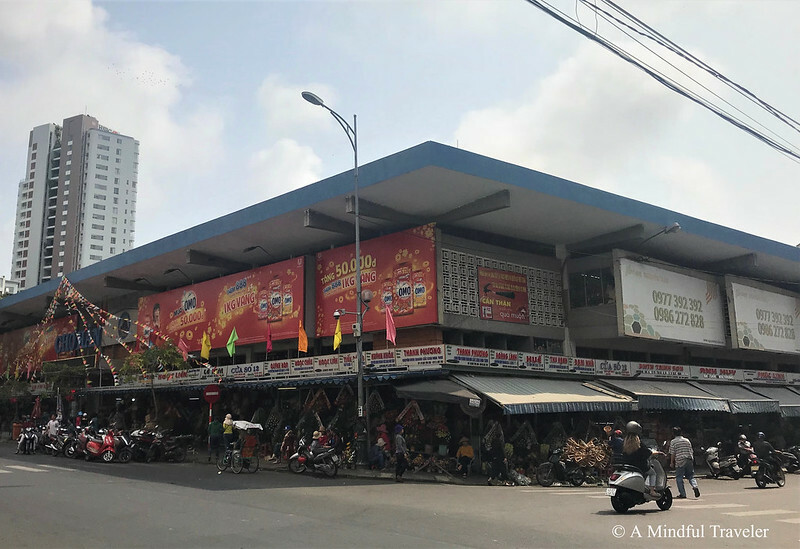 On a corner of the busy streets of Da Nang, we all gathered in a small open aired café, sitting on tiny chairs and tables watching the locals go by. 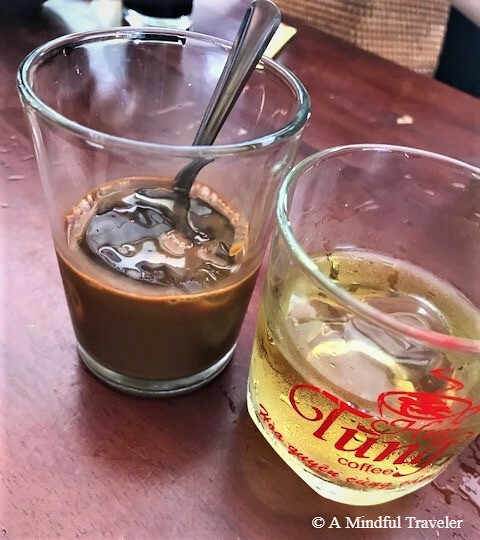 The cold Vietnamese coffee was served with a glass of green tea (instead of water), resulting in a double shot of caffeine, which prepared us all for the cooking class ahead. 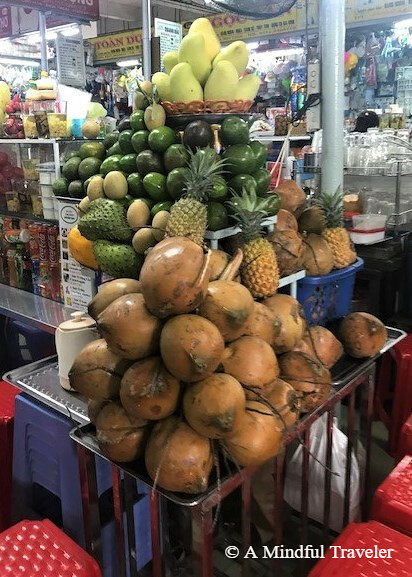 After our quick break, we walked a few blocks to the local market, where our guide was all too eager to explain to us the daily life of locals in Da Nang. 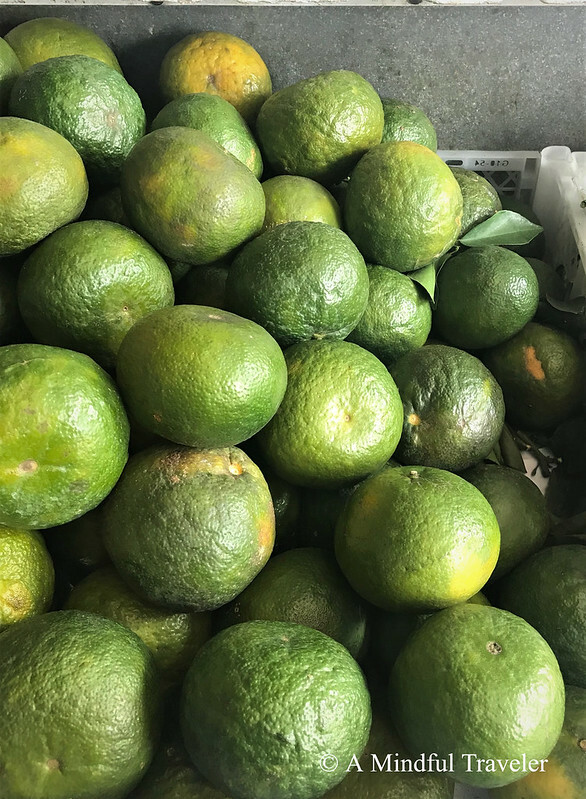 It was interesting to discover how many still visit the local markets for fresh seasonal produce daily. Nothing is wasted and buying only what is needed on a daily basis, compared to the way we shop at home, was quite different. 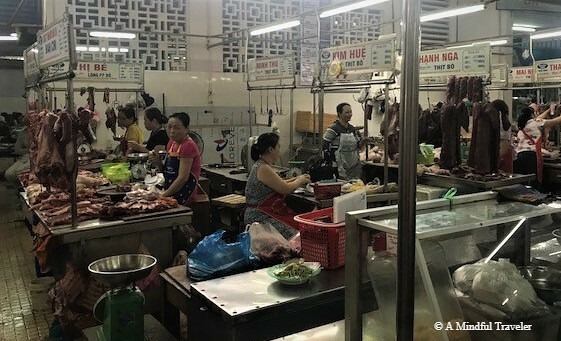 The colorful Han Market was an experience within itself. Everything from clothes, electronics, household goods, fruit and vegetables and fresh meats and seafood are available. A journey for the senses, and an education session all in one. 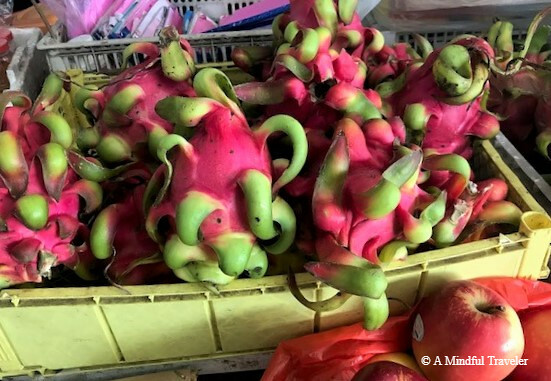 We made our way to the fruit and vegetable section passing through the fascinating meat/fish stalls where fresh crabs were wriggling on display and fishmongers were skinning their catches of frogs! 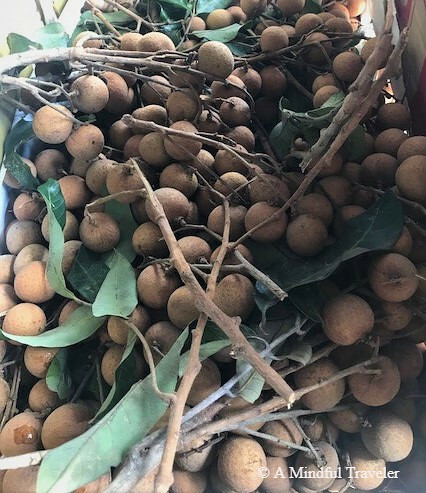 We were advised to each pick a fruit that we were unaccustomed with, so when we had finished cooking our meal, we could all share together a platter of fresh tropical fruit. Our guide paid for the purchase and we headed off to start the culinary feast. Our driver met us around the corner and returned us to the family’s home where the cooking class was to be held. The hospitality and warmth of the staff were outstanding. We all felt like we were at home, and enthusiastically put on our aprons and got to work. Chopping, slicing, smelling and tasting along the way, we all prepared four tasty dishes which we all shared together for lunch. With our bellies full, we received the “precious” recipe book, which contained all the delicious meals we cooked together. 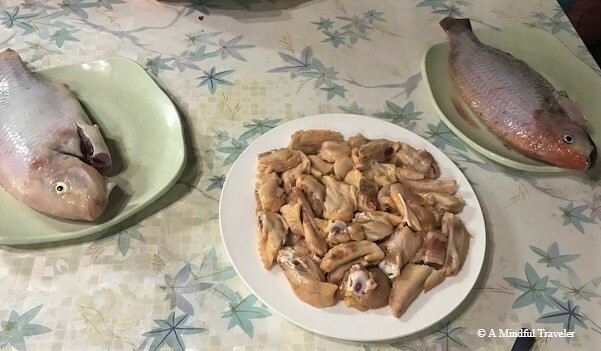 Sharing our own personal stories and participating in preparing a traditional Vietnamese meal using traditional techniques, was something special. 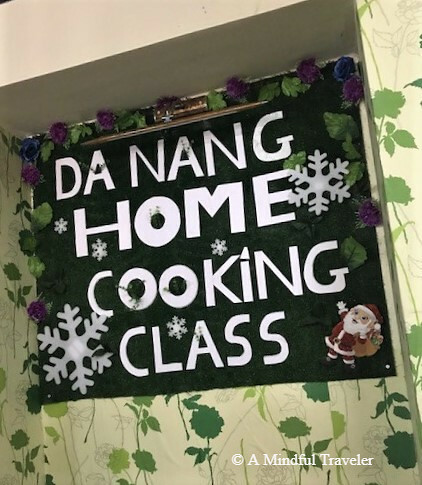 Da Nang cooking class is more than just your regular cooking school. 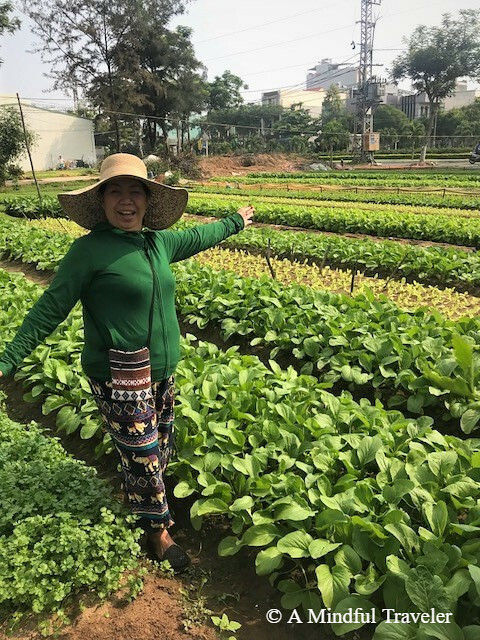 It’s a personal immersion into understanding and appreciating the importance of food in everyday Vietnam. 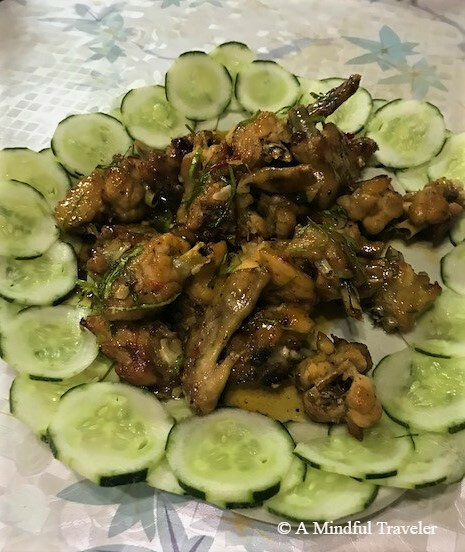 Disclosure: Sponsored post in collaboration with Da Nang Home Cooking Class. All thoughts and opinions are my own, and I choose to write this honest review to inform you of my experience. Small-group tour of 9 participants ensures more personalized service. How interesting to shop and cook the way the local people do. What fruit did you choose? Ooh what an absolutely brilliant thing to do when travelling and what a wonderful experience to have! I love cooking classes. It’s such a good way to learn something about the culture and it’s practical too. Love Vietnam and Vietnamese food! 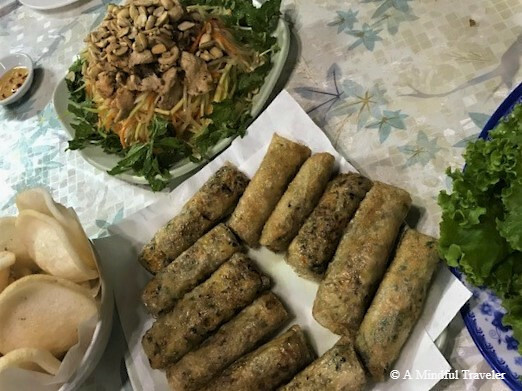 Addicted to Poh and fresh (or any) Spring Rolls and could/have eaten Vietnamese food 3 meals a day. I know right. Me too. You must have read my mind, Nilla. lovely reading this post , am sure it was a wonderful experience!